Three decades after their debut, the Huxtables stand as a sitcom modern family for their time, and for all time. The defining moment for "The Cosby Show" arrived early: in the debut episode, which aired on NBC 30 years ago this week. Teenage Theo, struggling in school, declares he doesn't plan on going to college, and instead will get a "regular people" job, unlike his lawyer mom and doctor dad. "If you weren’t a doctor, I wouldn’t love you less – because you’re my dad," Theo told his father, Cliff. "And so instead of acting disappointed because I’m not like you, maybe you can just accept who I am – because I’m your son." On most shows, this would have been prelude to a father-and-son hug, giving in to the "aww"-ing audience. Instead, Bill Cosby’s Cliff delivered perhaps the most memorable line of the classic series: "That's the dumbest thing I've ever heard. No wonder you get Ds in everything!" That exchange signaled the Huxtables weren’t the Bradys. Cosby borrowed from his life-inspired stand-up routines to present a high-achieving, if imperfect family living in a very nice Brooklyn home built on love – tough love, when needed – and humor that still rings as funny, wise and true as it did on Sept. 20, 1984. Some 30 years after their debut, the Huxtables stand as a sitcom modern family for their time, and for all time. Like the Bunkers before them and the Pritchetts after them, the Huxtables made an indelible mark on TV by shaking up the domestic sitcom, with smart writing and a point of a view that largely avoided the familiar and formulaic. The show’s success stems from the brilliance of Cosby, a master comedic storyteller from his days of recalling causing nighttime mischief with his brother Russell during their hardscrabble Philadelphia childhood to imparting lessons and a sense of stability wrapped in humor, via "Fat Albert and the Cosby Kids." Even if the setting of "The Cosby Show" was far more upscale than Fat Albert’s cartoon junkyard hangout, the approach proved similar. Revelations were wrought from generally low-stakes conflicts: the death of little Rudy’s goldfish; Theo getting his ear pierced; Denise slamming into Stevie Wonder’s car. In the end, Cliff, Clair, Sondra, Denise, Theo, Vanessa and Rudy were a family unit as tight as their choreographed, lip-synced version of Ray Charles’ “(Night Time is) The Right Time” – an anniversary present for Cliff’s parents. As the show went on, growing up led to some growing pains and an expansion of the family (most notably Denise’s surprise marriage to Martin, the father of Olivia, who became Cliff’s cute-kid comedy sparring partner as Rudy moved onto middle school). The program also provided a platform for some great guest stars – Lena Horne, Dizzy Gillespie, B.B. King, Sammy Davis, Jr. – usually without stretching believability to "Brady"-like lengths. The eight-year run of “The Cosby Show” included an incredible five-season stretch as the nation’s No. 1 show. Even if there’s no way to know whether theories the sitcom helped pave the way for Barack Obama’s election as president in 2008 are true, the show undoubtedly connected to audiences across socio-economic lines. Cosby pulled off the near impossible by giving us a family both ideal and relatable. 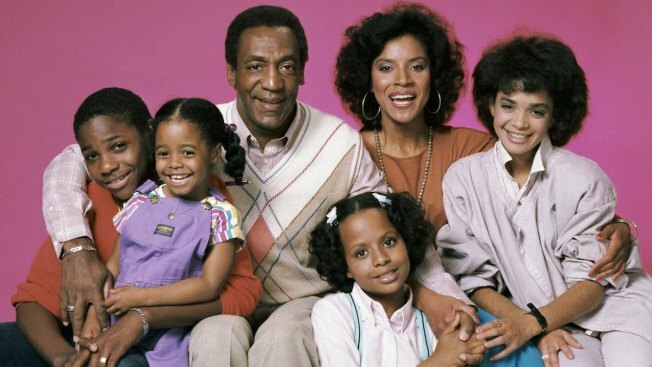 Other series with more irreverent views of domestic life – most prominently "Married... With Children" and "The Simpsons" – popped up seemingly as reactions to "The Cosby Show." NBC’s Thursday Must See TV line-up was later headed by "Seinfeld," a show built around hilariously selfish characters, a genre that's extended in these times. Not that there's anything wrong with that. But sometimes it's nice to know you can go home for a reality check and laughs, both gentle and pointed, that stay with you, even 30 years later.